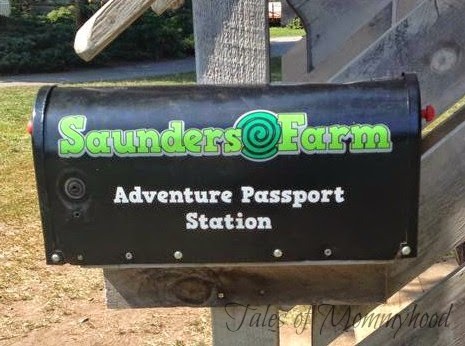 My family and I were going to take a trip to Saunders Farm this past weekend (it would have been the first visit for us that was NOT part of haunting season, and even then it has been many years). That morning, Mr. J hurt his hand and didn't want to go, so I took Mr. K with a friend and her son. We arrived right for opening and found a place to park (the parking lot is HUGE, there was no worry of not finding a spot). When we entered we saw a giant play structure that was comprised of a crazy treehouse, a barn with a hay jump and some bridges connecting them. There was also a sandbox with some toys for kids to play with. The first thing I did was head to the washroom (it is one of the areas I always like to check out, so that I know where it is and can see how clean they are). There are 2 washroom areas - one near the entrance with full, flushing toilets and running water to wash up. The washrooms are super clean and fully stocked with toilet paper, soap and paper towels. A little further down is the porta potty area, and they are also very clean. The kids spent some time playing at the play structure, then we made our way through the farm to the jumping pillows. They are giant pillows (there are 2) and they are so much fun - almost like trampolines. The adults enjoyed them as much as the kids (great workout). We went off to the pirate ship (it's a wooden ship with rope ladders to climb, and the kids can have a blast playing around inside the ship). 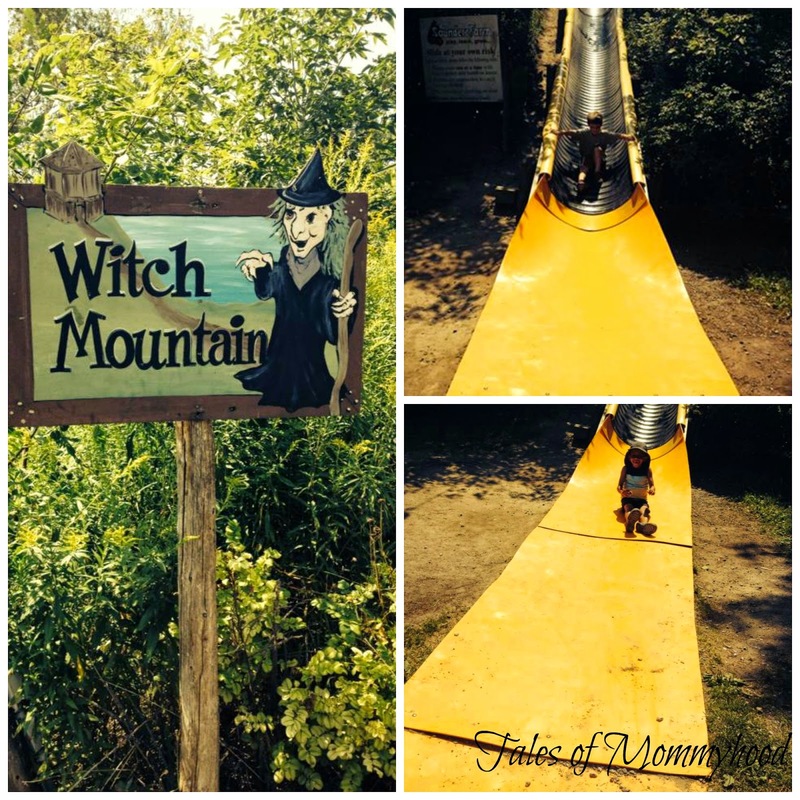 Once they were done, we dried the boys off and headed to the mazes. We only did the circular maze, neither of us wanted to spend the time trying to get through the other mazes (and this upset Mr. K - I am not a maze person, but there were quite a few to choose from and you could spend lots of time exploring them). 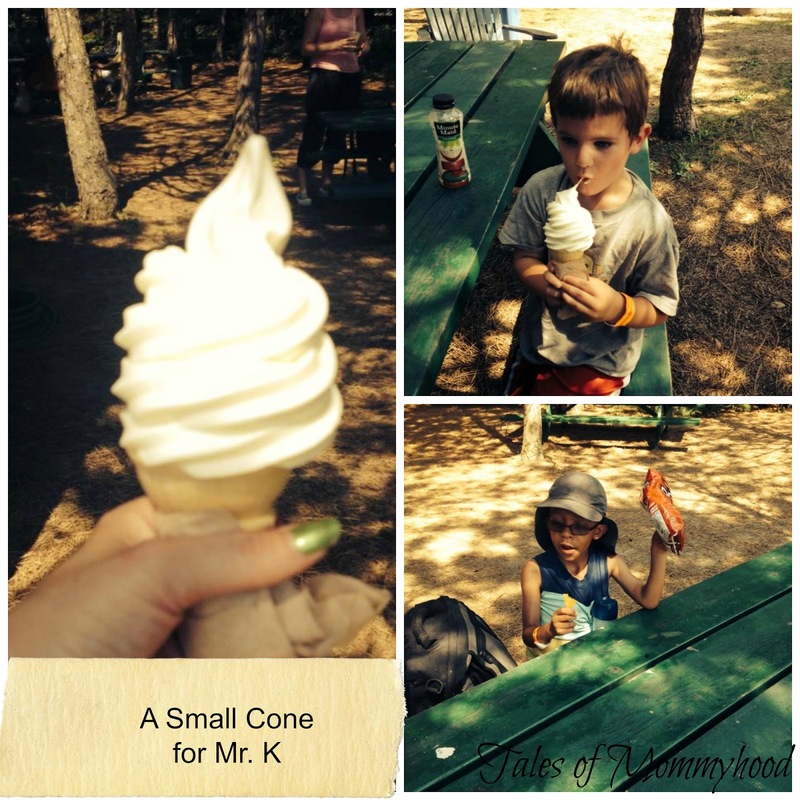 We headed off to the ice cream hut and Mr. K had an ice cream cone while Mr. M chose a bag of doritos. Lara had a lemonade which was delicious. The kids wanted to have some more time on the jumping pillows, and then we headed back to the first play structure where they played for another 40 minutes or so before calling it a day. There is also a puppet show that was playing, but we missed it while we were enjoying some of the other attractions. 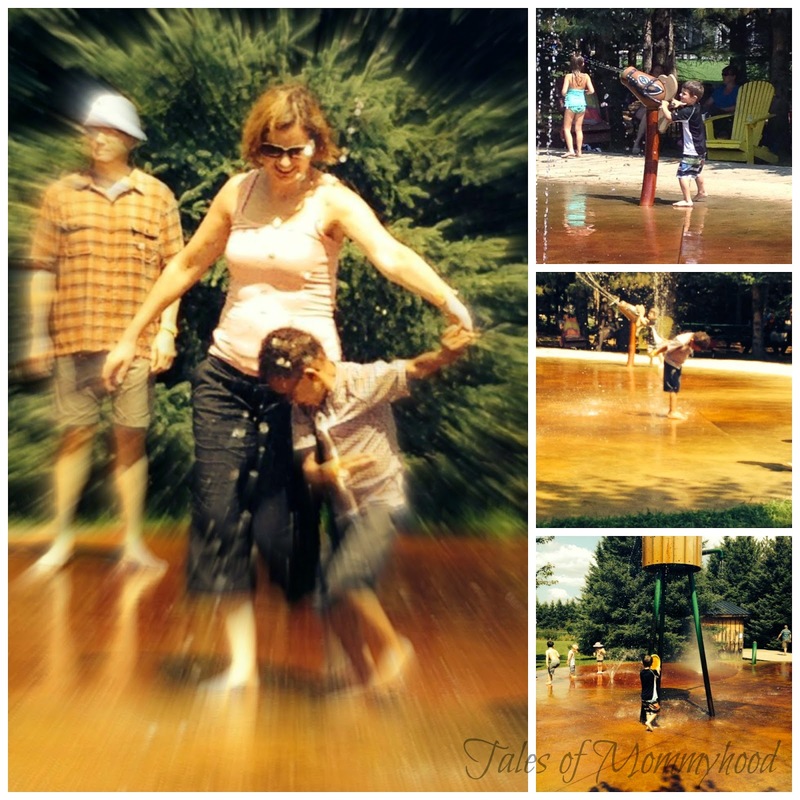 One of the reasons I have hesitated taking the kids in the last few years was the cost. Admission is $14.60 (plus hst) per person. That seemed pretty steep to me when you want to take a family of 4, even when I would talk to people and they would mention how great it was. You also have the option of purchasing an annual pass for $59 (plus hst) per person - this gives you unlimited access to the farm during open hours from June 7th until November 2, as well as other discounts for certain services. After visiting yesterday, I have to say that the amount of time you can spend (we were there for almost 4.5 hours, and easily could have spent another 1 or 2 hours) is definitely worth the admission cost. It's probably more cost effective to get an annual pass (if you go 4 times during the summer, or 2 summer visits and a haunting season visit, the pass is paid for). Mr. K is just about to turn 4, and Mr. M is 6.5 and they both had a lot of fun. I am sure my 7 yr old would enjoy it just as much as well. 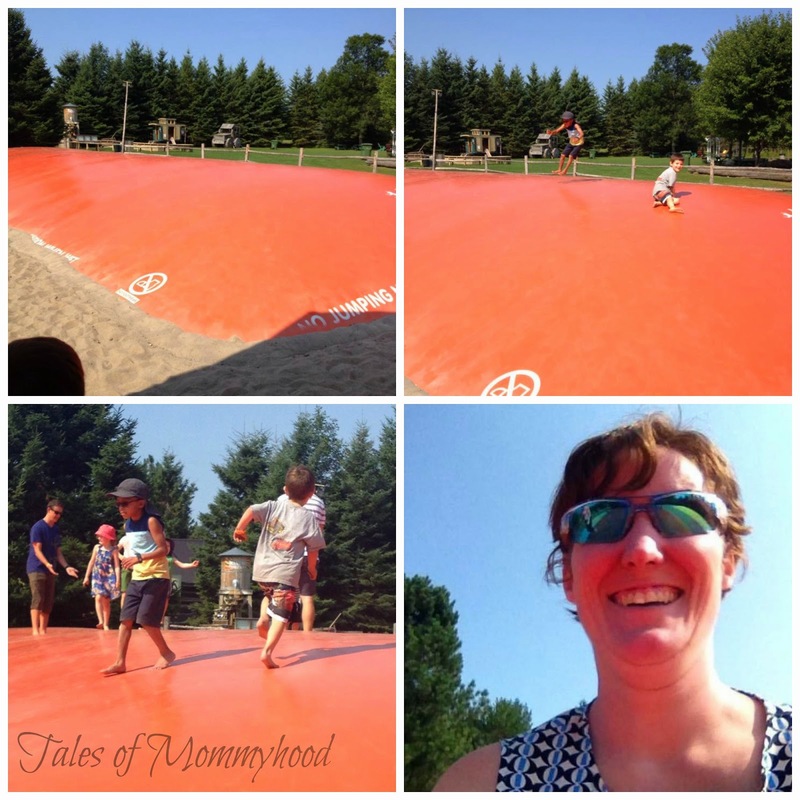 I asked the kids what their favourite part of the day was, and they both agreed it was the jumping pillows (and I think I would have to say the same - they were a LOT of fun). I also loved the fact that Lara and I could sit down and chat while the kids played. For both Lara and I, we were surprised at how clean everything was (definitely surpassed our expectations). There are garbage cans and recycle bins throughout the area where you can picnic. - it's wide open, with lots of areas to sit and watch your kids play (shady areas and sunny areas) It wasn't super crowded on Sunday, but I would suggest (as was suggested to me by friends) to dress your kids in bright colours so they are easy to spot. HAVE FUN! Not having been before, we were kind of pushing the kids through so we could enjoy the whole farm, not knowing exactly what was there. Next time, I will just let the kids play as much as they want at each area, knowing that we can easily spend all day. The kids were both exhausted when we left, but both said they could have stayed longer and declared "it was the best day EVER". 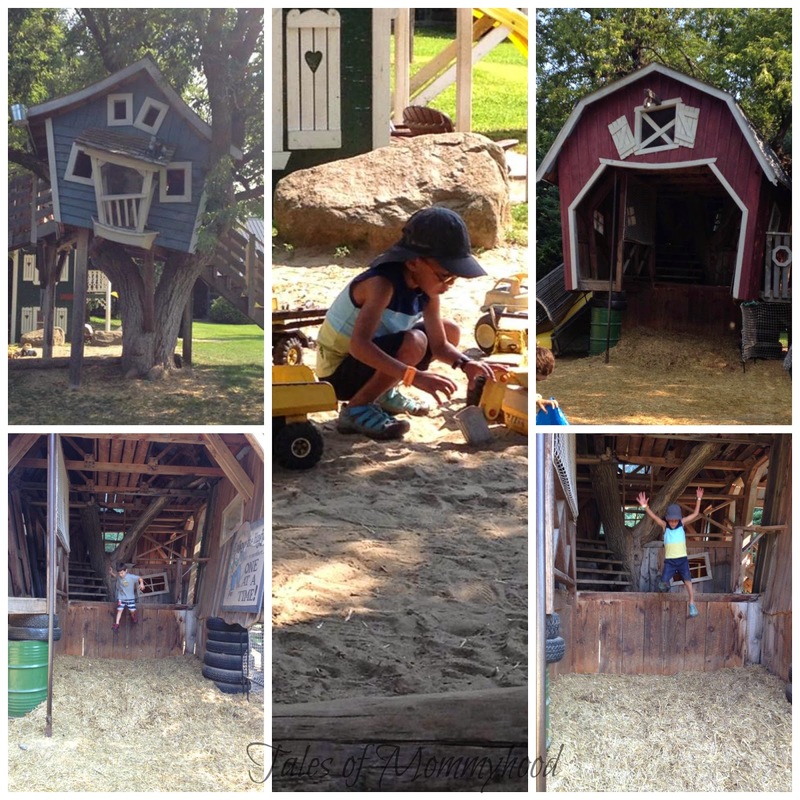 Have you ever been to Saunders Farm before? I've only ever been in haunting season in the past. But this sounds like a great option for my 2-year-old for something to do outdoors in the west end. She'd love the jumping pillows! I think we will wait on haunting season until the kids are a bit older (and it has been many years since I was there for it myself) - I hope you have a chance to go! 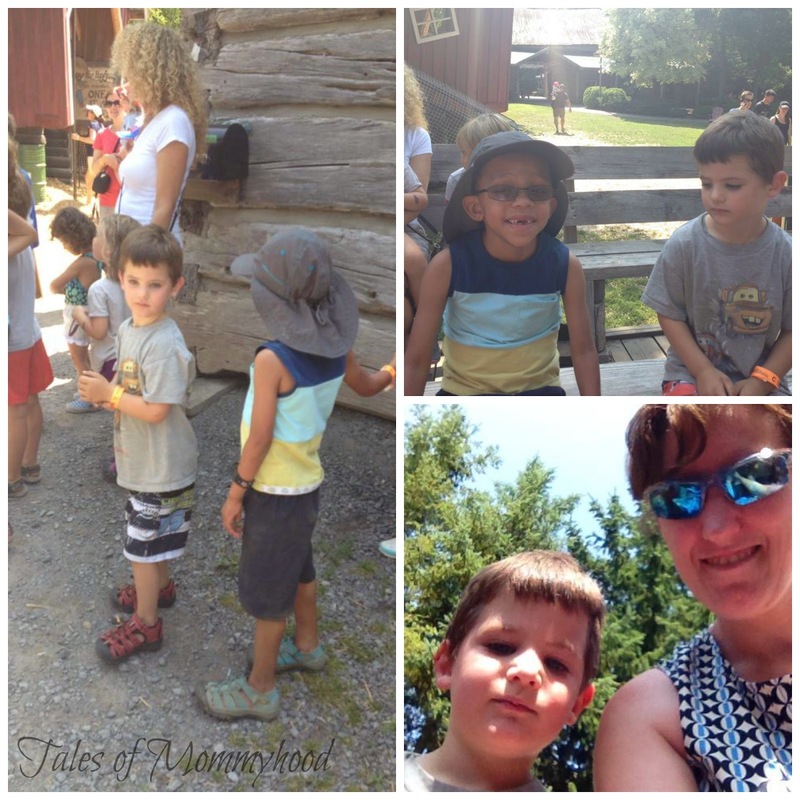 We love Saunders Farm! Especially the jumping pillows! Thanks for the great review! Have been taking the kids and grandkids for years! Used to have Mrs Saunders as a teacher in grade 1 - we did monthly field trips to the farm... so much fun as a child! Looks like you guys had so much fun! I'd love to go there with my daughter some day. We live 10 minutes from Saunders Farm yet have never been!? I think that I'll get a family pass next year. Great to hear that you had so much fun and thanks for the tips. you must if you are that close! I hope you enjoy it as much as we did! I have not been other then halloween. Sounds like a great day to spend with the kids there and get some of their energy out! So nice to see that you got to finally try this place out!! So fun! This looks like a really great place to visit! I haven't been here before!